Friends, chocolate and a very good cause – put them all together and you have “Chocolate for Chacocente”! Two Rochester, NY churches have been doing variations of this fundraiser for years. Chacocente supporters from Asbury First UMC gather at one another’s homes to melt dark, milk and white chocolate wafers, mold them into bunnies, chicks and crosses, and then wrap them up with a pretty ribbon. They also make chocolate covered pretzels, cookies and, of course, turtles! The chocolate is sold on Palm Sunday at local churches. 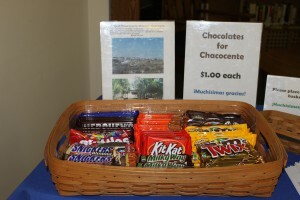 Webster UMC sells Chocolate for Chacocente year-round by purchasing candy bars and having them available for sale each Sunday. Both fundraisers have been very successful and have done much to keep the mission of Project Chacocente going. 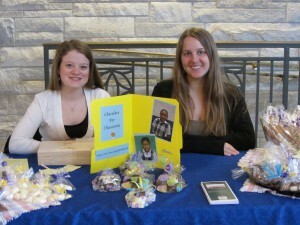 We hope you will consider helping by organizing a “Chocolate for Chacocente” in your area! And don’t forget to keep putting $1 a day in your Lenten Lunches glass. Each dollar provides two children with a healthy lunch at Chacocente Christian School!